In AHHAA, autumn arrives with an enormous drop in ticket prices! Over three weeks in September, science centre tickets for booked groups are 50% cheaper than usual. School groups get a chance to watch two 4D movies for the price of one in our 4D Experience Cinema and visit AHHAA and Aura Centre for a special price. 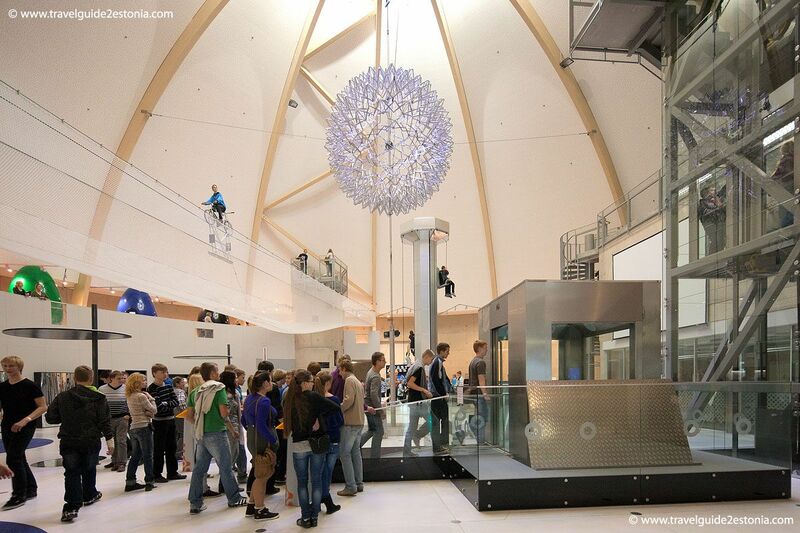 From 2 to 22 September 2013 all the science enthusiasts are pretty much obliged to visit AHHAA Tartu! During these three weeks, admission fees for groups are 50% lower than usual! Attention! Please note that the discount does not apply to planetarium or flight simulator tickets (or to workshops or science theatre shows booked by groups). Also, in order to get the discount, you need to book your visit in advance. To book a visit for your group, contact us on +372 5156 766 or send us an e-mail on tellimus@ahhaa.ee. From 2 to 22 September, school groups can a visit both Science Centre AHHAA and Aura Centre during the same day, paying just 8€ per person (4+4€). For every 15 children, one accompanying adult gets in for free. Please note that you must book your visit in advance and pay admission fees for your groups to both AHHAA and Aura Centre (4 euros to each). For additional fee, you can also book a workshop or a planetarium show for your group in AHHAA. Offer is valid Monday through Friday. Special discount tickets are valid for three hours in both centres (6 hours in total). AHHAA is open 10-19 (Mon-Thu) and 10-20 on Fridays. Aura Centre is open 10-22 (Mon-Fri). Parking for school buses is free for three hours, both AHHAA and Aura have separate parking lots for buses. In order to get a discount, groups must consist of at least 15 students. Book your visit on weekdays on +372 730 0280 or by e-mail on info@aurakeskus.ee. For additional fee, AHHAA also offers you the possiblity to book a workshop (2€ per person) or a planetarium show (4€ per person) for your group. Workshops and planetarium shows must be booked separately on tellimus@ahhaa.ee or +372 5156 766. 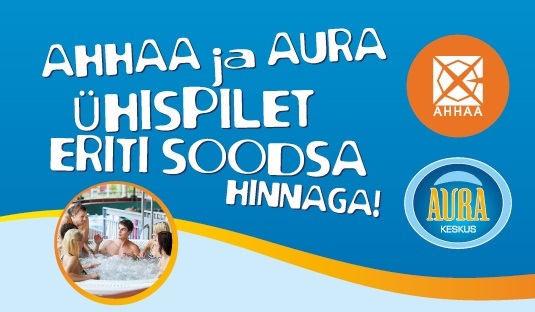 From 2 to 22 September, AHHAA&apos;s 4D Experience Cinema in Lõunakeskus Shopping Centre (Ringtee 75) and 4D Experience Capsule in Tallinn (Vabaduse väljak 9) also have a special offers for school groups - watch two 4D movies for the price of one!